Don’t let multiple channels, teams and systems slow you down. 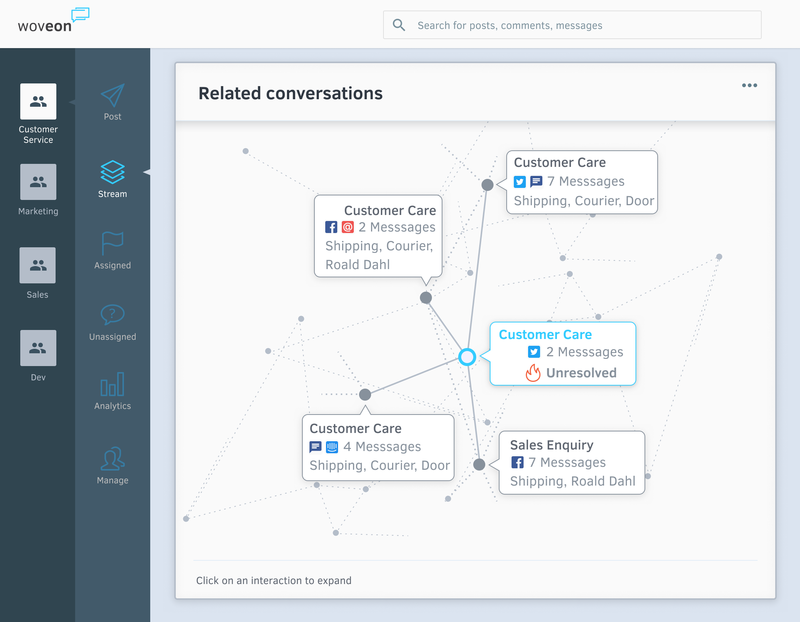 See conversational, transactional and behavioral data all in one place. The single customer view is a holistic profile of a customer, created from aggregated data points within an organization’s systems and channels. In one place, you can see a given customer’s conversational, transactional and behavioral data. From a phone conversation record, to which pages they browsed, to what products they have bought before, everything is on the one screen. Using AI and machine learning technology, the information on the single customer view changes dynamically as a customer conversation changes from one topic to another. This means that the agent responding is always aware of the context needed to resolve a customer’s problem, or seize a revenue opportunity. If a customer wants help resolving an account issue, the profile would display the relevant account details from a CRM. If the conversation moves towards tracking a package, the single customer view would display tracking details and order history from a shipping system. The system learns as the company grows, and will get better at deciding what information is most crucial to display for faster, more personalized and revenue-generating communications. to manage conversation volume and uncover lost revenue opportunities. 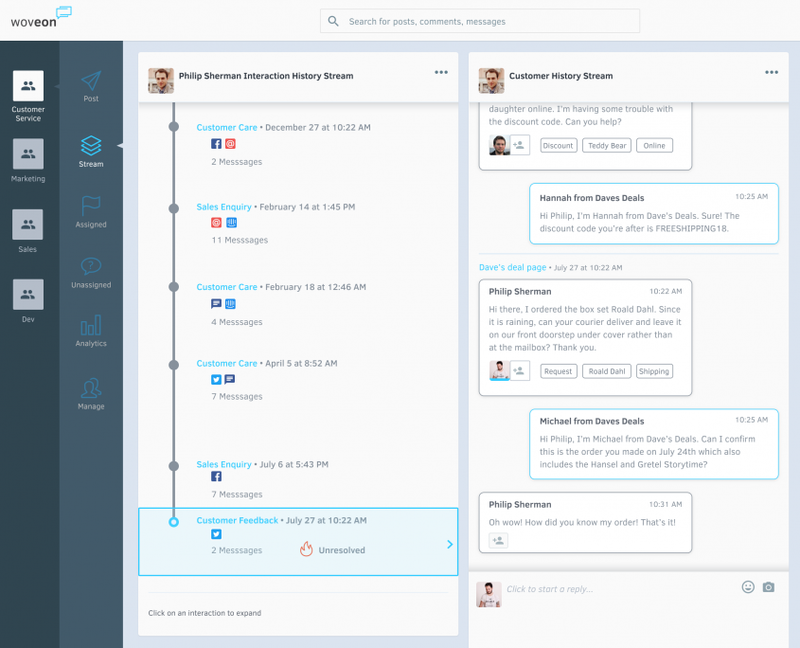 Empower teams to work more efficiently and accurately with all customer information in one place – past transactions, conversations and behaviors. 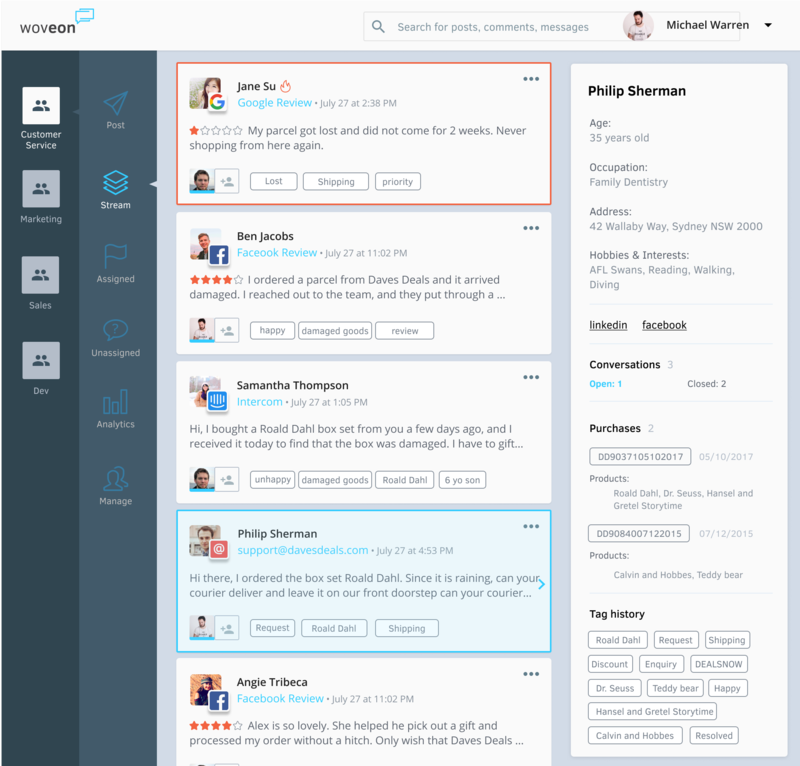 Woveon is able to stitch together disparate profiles across systems, match profiles with associated conversations and cross-analyze with other relevant information all on one platform.